Defense Minister exploring legal means to demolish homes of terrorists who severely wound Israelis. 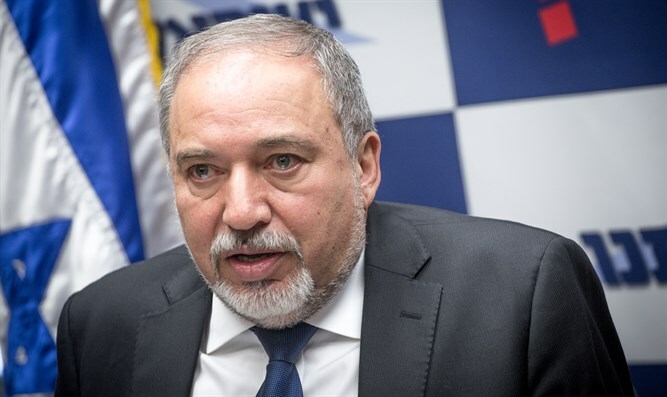 Defense Minister Avigdor Liberman (Yisrael Beytenu) has instructed the Defense Ministry's legal counsel to explore legal avenues that would enable the IDF to destroy the homes of terrorists who severely wound Israelis. Israel's current policy is to only demolish the homes of terrorists who kill Israelis. According to Liberman, Israel's policy of home demolitions has proven itself as an effective deterrent against terrorism, and there is no reason to distinguish between the different types of attacks. "Destroying the homes of terrorists who committed acts of murder is a proven and effective tool in the struggle against terror and deters those who think about carrying out attacks in the future," the Defense Minister said. "As part of this uncompromising struggle, I believe that the homes of terrorists who carried out attacks that caused serious injury to civilians should also be demolished," Liberman continued. "The struggle against terrorism requires us to be determined and to act harshly against those who try to harm us." Last week, the Salomon family demanded that the IDF destroy the house of the terrorist who brutally murdered three members of the family in their Neve Tzuf home in July. According to the instructions of the Supreme Court in such situations, the IDF has only demolished part of the floor on which the terrorist lived, but the terrorist’s family continues to live on the second floor, which was not demolished at all.